PPA have won the Golden Cadrat d’Or for high quality print jobs. They print for the biggest perfume brands like Chanel, Dior, Lancôme, Vuitton and many more. Kinyo have worked very well for many years with the family owned company. We provide an H-UV solution with our Olympia LE blankets which is combined with technical expertise and support. 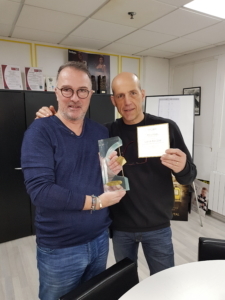 Kinyo technical sales manager Marc Than helped them to achieve their product goals of first-class quality printing, as printing on a wide variety of substrates is one of the key benefits of Olympia LE thanks to its excellent release properties. The dedicated EPDM UV surface is designed to work effectively with H-UV and LE-UV ink systems, whilst offering high resistance to embossing from aggressive UV inks and washes – its buffed surface is designed to offer excellent solid coverage without compromising on dot quality. 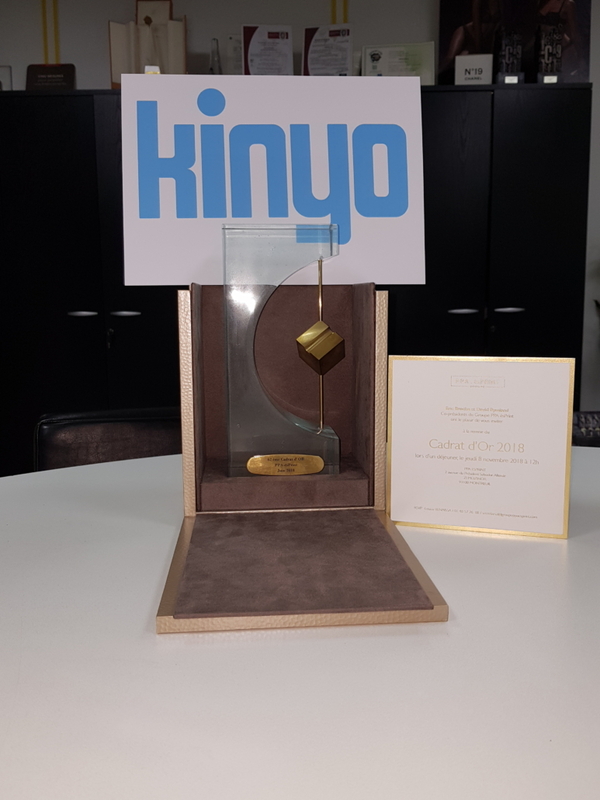 Kinyo would like to congratulate PPA Mahé, Eric Broche and his entire team for receiving the 2019 Golden Cadrat Award and for using our Olympia LE blankets on their H-UV Komori machines. We are very proud to work with such a high quality and forward thinking company. Eric Broche General Director (Owner) and Christophe Debue Technical and Production Manager of PPA.